When Megha Chandrashekhar’s PhD research featured on the pages of Maclean’s and The Atlantic, she had every reason to be proud. Not only was her study of cancer weaknesses published in a leading scientific journal in the field, but it also reached a wide readership, reflecting the impact of her work. Chandrashekhar, along with Nika Shakiba and Mathieu Quesnel-Vallières, is this year’s winner of the Jennifer Dorrington Graduate Research Award. From discoveries in cancer, to autism, to stem cells, these young scientists have already made tremendous contributions in their fields. They are highly deserving of the Dorrington award that recognizes research excellence and that will further propel them towards fulfilling careers in science. 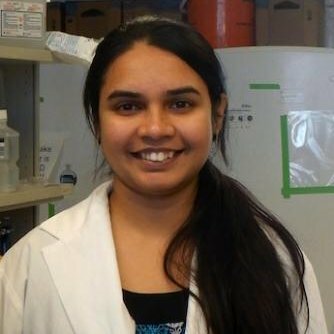 Megha Chandrashekhar Chandrashekhar joined U of T’s Department of Molecular Genetics after obtaining a Bachelor’s in Technology from VIT University in Vellore, India, where she ranked fourth in the department, followed by a Master’s degree at Queens University in Kingston, Ontario. She decided to join Professor Jason Moffat’s group at the Donnelly Centre to help develop new technology that could revolutionize cancer research and had spectacular success. The reason why cancer treatment is so harrowing is that the current drugs destroy both the cancer and the neighboring healthy tissue. Chandrashekhar wanted to find genes that are only required in cancer cells, so that they could be used as drug targets to selectively attack the disease. Using the latest gene editing technology, known as CRISPR, Chandrashekhar sifted through the genomes of five different cancer cell lines to find distinct sets of genes that keep each of them alive. These sets of genes also reflect each cancer’s unique vulnerability, its Achilles Heel, that could be targeted by specific drugs. Chandrashekhar’s pioneering study paves the way for future research that will speed up the discovery of better and more precise treatments. Chandrashekhar may well be leading these efforts, as she plans to stay in the field after graduating next year. “I feel extremely honored and appreciative for receiving this significant award. Recognition of my work for this award boosts my confidence and provides further motivation to pursue research in this field,” says Chandrashekhar. After obtaining Bachelor’s and Master’s degrees from the University of Montreal, Mathieu Quesnel-Vallières joined U of T’s Department of Molecular Genetics to study molecular processes that shape the brain during development, and in his research he uncovered molecular roots of autism spectrum disorder (ASD). Mathieu Quesnel-Vallières The focus of Quesnel-Vallières’ research was a cellular process called alternative splicing (AS). AS expands the protein catalogue in cells that underpins the enormous complexity of brain structures. Jointly co-supervised by Professors Ben Blencowe, of the Donnelly Centre, and Sabine Cordes, of Mount Sinai Hospital’s Lunenfeld-Tanenbaum Research Institute, who are world leaders in the study of AS and brain development, respectively, Quesnel-Vallières had the best of both worlds in which to hone his research skills. 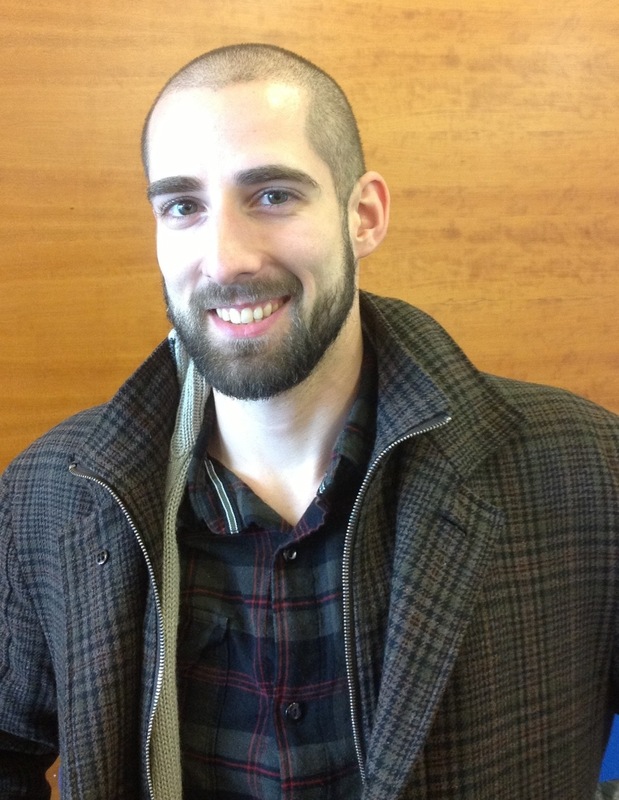 During his PhD, Quesnel-Vallières created a powerful tool – a mouse lacking an AS regulator, the gene called nSR100. Using sophisticated genetics, he was able to switch off nSR100 in different parts of the brain, and at different times, to ask precise questions about its role. This revealed that mice with disrupted nSR100 function had impaired protein diversity and wiring defects in their brains. Crucially, another study, that Quesnel-Vallières was part of, found that people with ASD had less nSR100 in their brains, suggesting that nSR100 is crucial for normal brain development. Quesnel-Vallières findings mark a step toward a unified view of the disorder notorious for its mishmash of genetic causes, with hundreds of genes believed to contribute to ASD. nSR100 now offers a glimpse of hope as a rare, robust molecule that could be used to diagnose ASD early, and even develop treatments for it. Expecting to graduate this summer, Quesnel-Vallières, is preparing for the next chapter in his career. “I am presently interviewing in academic laboratories in the United States and in Switzerland for a post-doc position that would allow me to extend my expertise in RNA biology and neuroscience. The Dorrington Award will definitely help me build a strong application when I have to compete with candidates from all over the world for a postdoctoral fellowship later this year,” says Quesnel-Vallières. Nika Shakiba Having graduated at the top of her class in Engineering Science at U of T, Nika Shakiba was a rare kind of new graduate – one that is both highly competent in the lab and able to do complicated number crunching. These skills enabled her to break new ground in stem cell research, which she has been carrying out in Professor Peter Zandstra’s group, at the Donnelly Centre, and in the Institute of Biomaterials and Biomedical Engineering. Shakiba has been building a better understanding of stem cells, which can turn into any cell type and hold great promise for regenerative medicine. A decade ago it became possible to convert, or reprogram, adult cells, such as skin cells, into stem cells – these are called induced pluripotent stem cells (iPSCs). iPSCs not only skirt the controversial sourcing of stem cells from embryos, but they could also be used to make genetically identical, patient-specific cells for clinical use. But reprogramming takes weeks, and scientists still do not fully understand it. This has ultimately hampered their ability to generate iPSCs reliably and in clinically useful amounts. Shakiba has been applying her skills in cell biology and mathematical modelling to dissect the course of reprogramming. Not all cells follow the same route to becoming stem cells due to inherent stochastic processes. 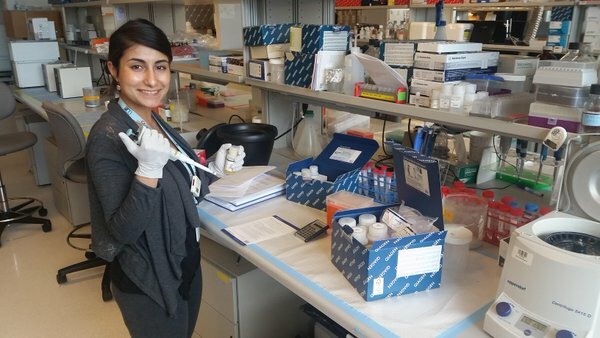 Shakiba has been cataloguing all the different reprogramming paths, and she will use these data to computationally predict a chain of events that will turn any given cell into a stem cell. Her work, expected to be published soon, will provide valuable insights into how to control cell production for clinical use. In the meantime, Shakiba has already identified a key molecule that can be used to more quickly fish out the valuable iPSCs from a blend of cells in a dish. With one year left before graduating, Shakiba’s plan is to become a Professor in Biomedical Engineering, and she believes that the Dorrington award will help her achieve this goal. “This award will enable me to focus on my scientific training. It provides support and motivation to continue to develop my passion for science both in the lab and outside the lab through various outreach activities. The Jennifer Dorrington Award is a generous reminder of the importance of pursuing our dreams, which is enabled by the support of our academic community,” says Shakiba. The award was established by the Dorrington family in 2006 as a tribute to Dr. Jennifer Dorrington, who was a professor in the Banting and Best Department of Medical Research. Dorrington’s pioneering research greatly advanced our understanding of reproductive biology and ovarian cancer.